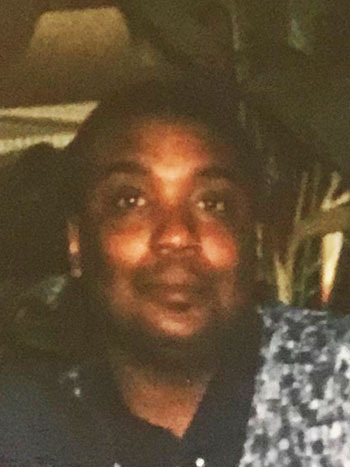 Jerome Davis, 57, of New Haven, entered eternal rest on March 26, 2019. Mr. Davis was born in Selma, AL on February 3, 1962, a son of the late Bessie Davis. He was most recently employed by the City of New Haven Police Department as an Animal Control Officer. He leaves to cherish loving memories, sisters, Bennie M. Watkins and Gloria Davis-Delancy (Obed); brothers, Benjamin William McCurdy, Michael Paul Davis and Alonzo Davis; and a host of nieces, nephews, other relatives and friends. He was preceded in death by brothers, Julius and Junior Davis; a sister, Rosemarie Davis; and a great-aunt, Rosa Etheridge whom raised him. A celebration of Jerome’s life will be held Wednesday, April 3, 2019, at 10:00 a.m. at Curvin K. Council Funeral Home, 128 Dwight St., New Haven. Visitation will be held from 9:00-10:00 a.m. Burial will be in Evergreen Cemetery. In lieu of flowers, memorial contributions may be made to Friends of The New Haven Animal Shelter, P.O. Box 9056, Brewery St. Station, New Haven, CT 06532. I knew Jerome from the New Haven Animal Shelter. I was a volunteer there and he was always very good with animals. He was pretty quiet most of the time but he was good to work with and a nice guy. I am sorry for your loss.